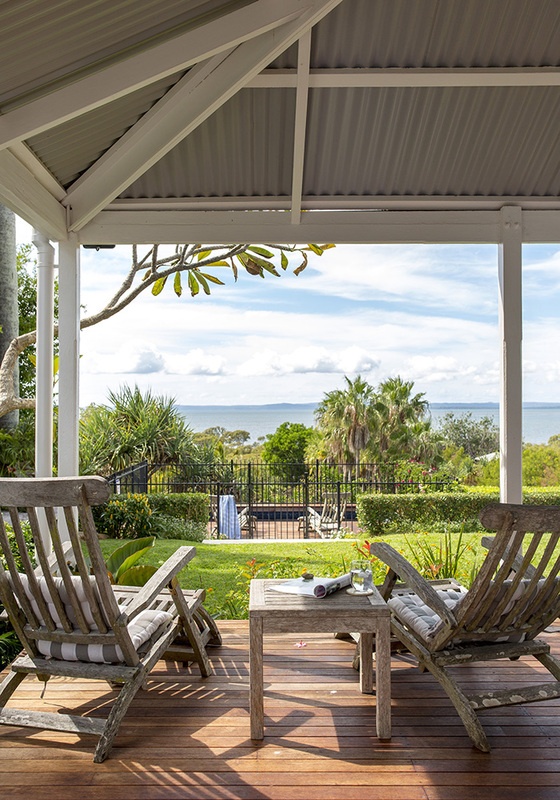 Perched high above sea level in Brisbane’s Bayside suburb of Wellington Point, this 150-year-old beauty with sweeping ocean views is enjoying her finest update yet. 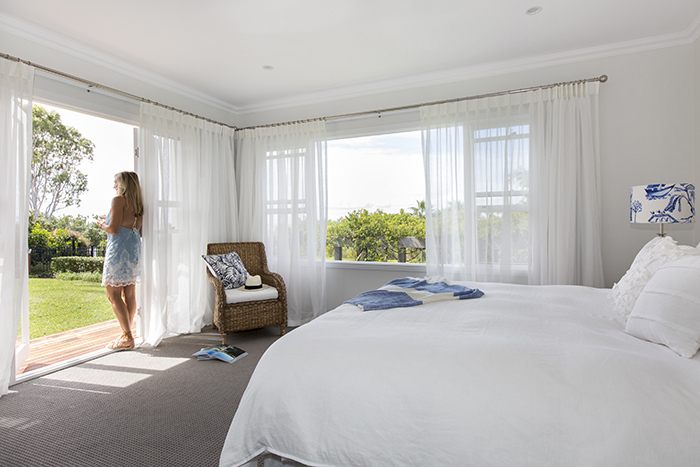 Seaview has weathered numerous owners and several updates over its 150-year lifespan, but its latest incarnation as a modern, coastal sanctuary for a family of five is undoubtedly its best yet. 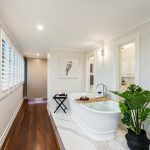 Home to Nick, Kirsten and their three teenage children – daughter Chloe and twin sons Will and Zac – the home enjoys incredible views of North Stradbroke Island, Moreton Bay and beyond from many of its rooms. 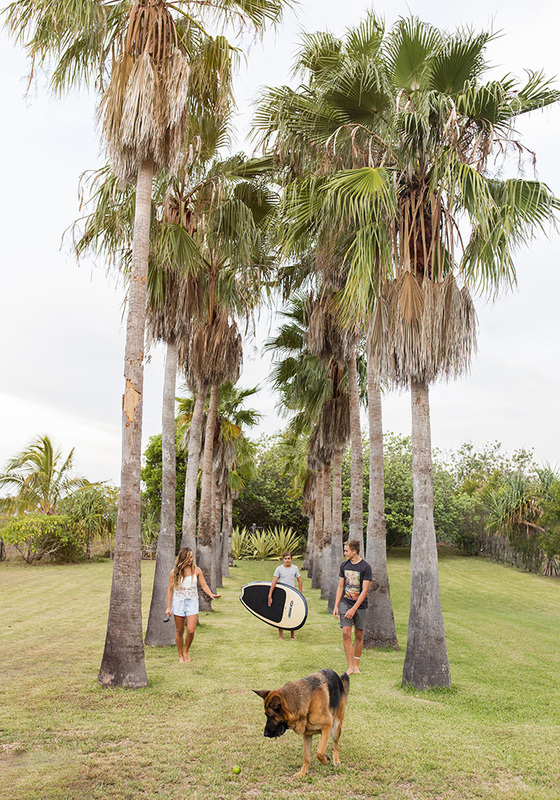 The family agree they never tire of the ever-changing ocean outlook or the majestic gardens that surround the historic property. 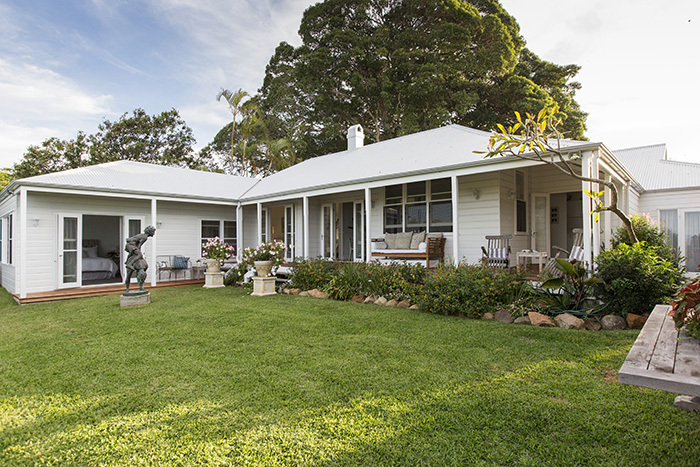 The owners had great plans for bringing the house into the next chapter of its life while respecting its rich history. Their vision? 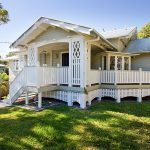 To transform this 1864 charmer, which was made up of two separate buildings, into a unified, relaxed home for their family to love. 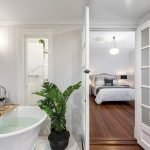 They recruited Brisbane-based interior design-and-build team Lauren and Ryan Pearse from Rylo Interiors to execute their grand plan. 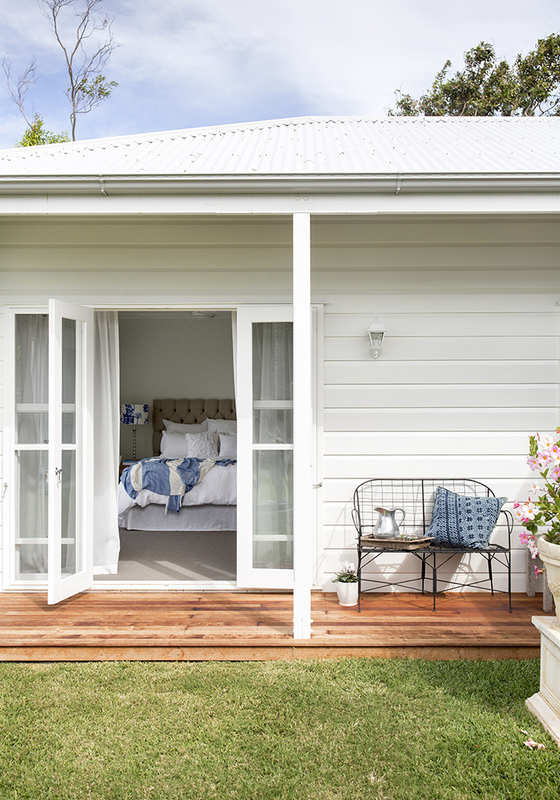 Over a period of six months, Ryan, who operates the building side of the business, and Lauren, who runs the interior design arm, carefully reworked the original cottages into one seamless, breezy abode. Much of the original flooring was kept, as well as the incredible original fireplaces and cathedral ceilings, now major focal points in the home. 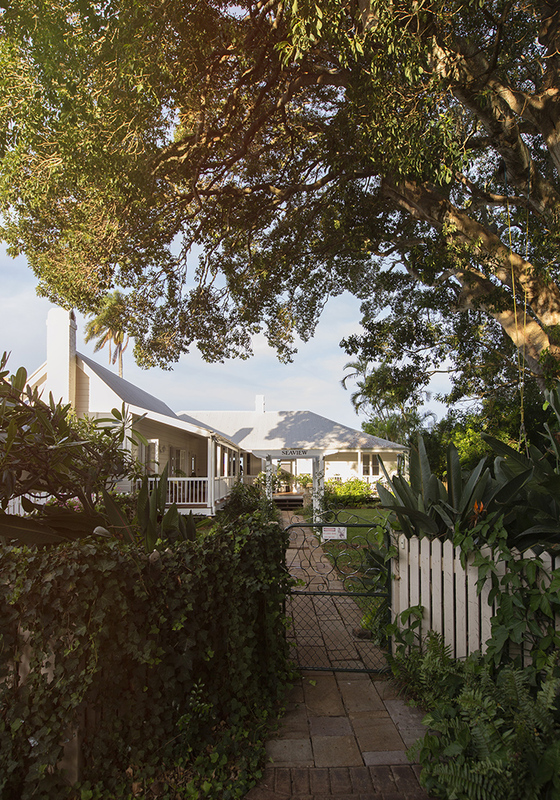 Other heritage features have been re-purposed and revamped, including an old door, once located at the back of the house and now promoted to the front entrance. The team also reinstated all of the original weighted double-hung windows which provide the home with natural light and frame that priceless water view. 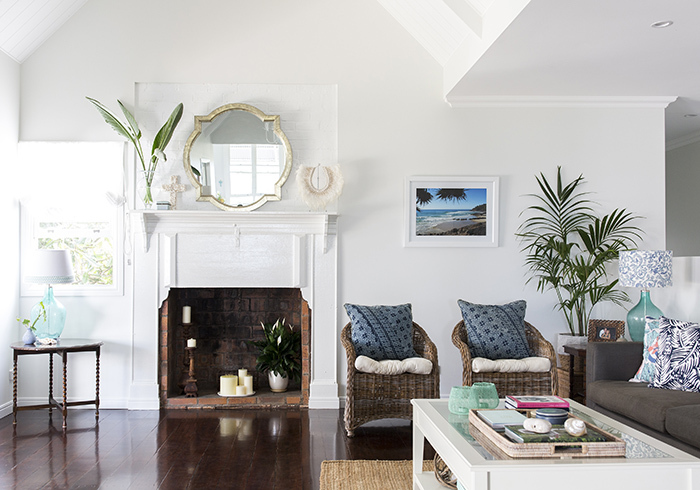 The home’s laid-back coastal style is reflective of the family, with vibrant pops of colour throughout giving each room a dash of personality. Kirsten’s relaxed sense of style is evident in the use of layered textures and stunning accent pieces which she has carefully selected with help from Lauren. 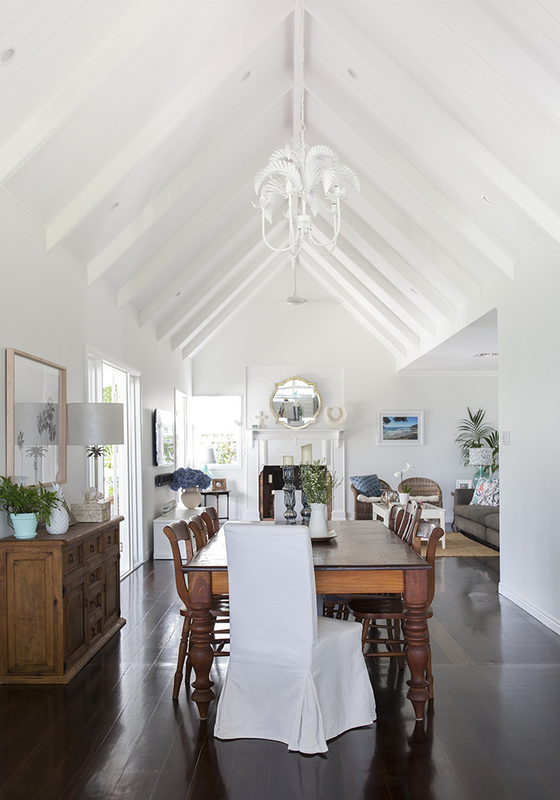 Against a soothing backdrop of fresh white, it’s created a calm and serene space. 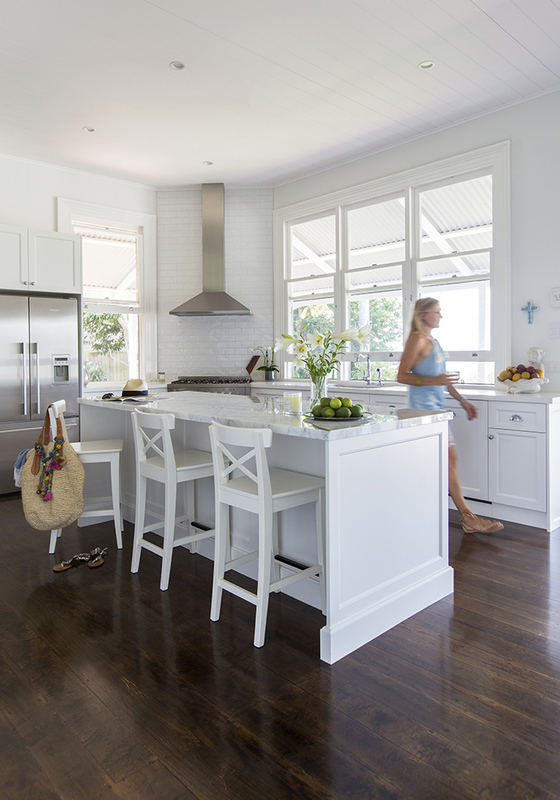 The heart of the home is the bright kitchen, which is equipped with a large butler’s pantry, ideal for this busy family. Classic fixtures in the kitchen have been applied, with beautiful Statuario marble used on the island benchtop and Nicolazzi tapware. 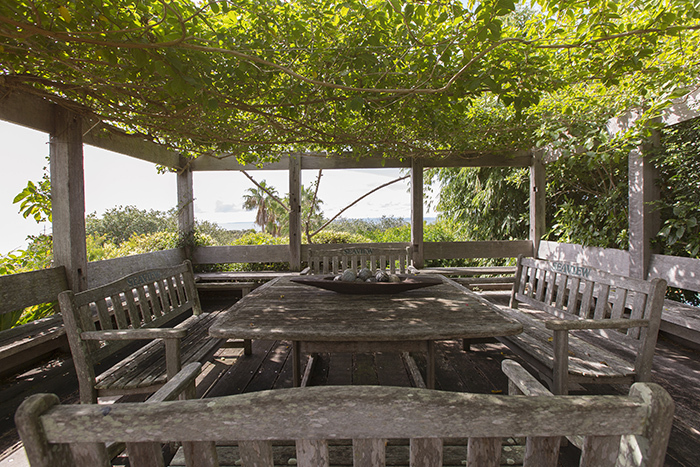 The original large, double-hung windows sit along one side of the kitchen and open out to the stunning vista, with views of the garden, pool and coast. Adjacent to the kitchen is the dining room with that remarkable cathedral ceiling. A palm chandelier from Gyspet Cargo commands attention, hanging over the large vintage dining table – a treasured piece which has remained in the family for many years. The home now hosts two lounge room areas, both of which contain original fireplaces. The double living areas provide plenty of space for the family to come together and relax, enjoy the view and spend quality time with each other and their guests. Now dressed for the future, there’s no doubt Seaview will continue to charm, entertain and nurture for many years to come.